All over Europe and North America, schools are taking the initiative to stop buses and cars from idling, to walk and cycle to school, to eat local organic food and grow their own food, to increase recycling, to stop using toxic cleaners and pesticides, and to bring global warming into the curriculum. 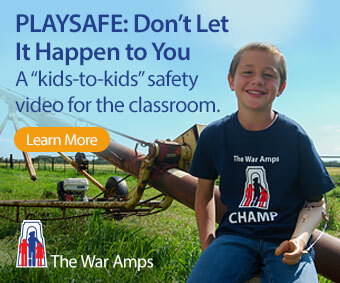 Schools are also working to rebuild the broken connection with nature, with students spending time in nearby forests, wetlands, rivers and farms. In a video contest in 2008, McTavish Elementary School, near Victoria, BC, was voted the greenest school in North America for reducing its waste by 80% by composting, paper recycling and soft-plastics recycling. In February 2009, hundreds of schools across the US took part in the National Teach-In on Global Warming Solutions, participating in the national webcast and following up with local discussions about how they could contribute. At Akron Westfield Community School, Iowa, students helped to install their school’s 600-kW wind turbine. Many schools have installed solar systems, integrating the data into their science and business studies. In Britain, all seven classes at the St. Francis of Assisi Academy in Liverpool have a garden, where teenagers grow food and plants, integrating it into their math and geography classes. Organize a lunchtime meeting for anyone in the school (staff and students) interested in planning a green project for your school. Go around the circle and gather everyone’s ideas as to what you could do as a school. Ask group members to research one idea each before your next meeting. Share your research. Focus on those ideas that are achievable within three months, and choose the one that is most doable and has the most support. Write down your long-term goals, give your group a name, and create a page on your favourite networking site. Present your idea to the school community and ask for support. You will need everyone’s support, including the support staff, teachers, principal, school board and parents. Get to work on the project you have chosen. Guy Dauncey is a speaker, author and organizer who works to develop a positive vision of a sustainable future, and to translate that vision into action. 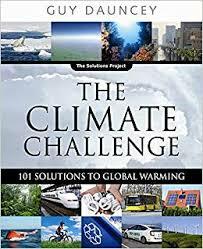 He is author of the award-winning book Stormy Weather: 101 Solutions to Global Climate Change, Cancer: 101 Solutions to a Preventable Epidemic, and 9 other titles. His home page is www.earthfuture.com.